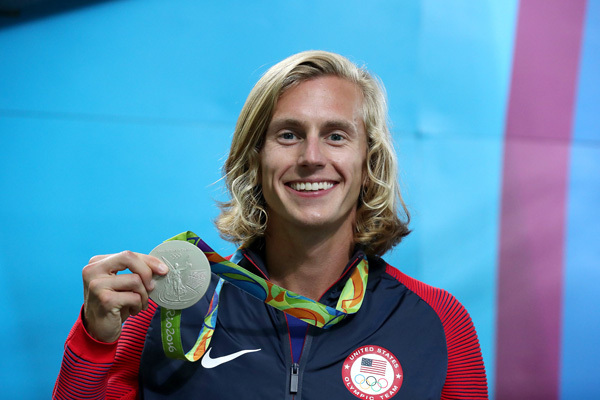 For the second time in the last three years, Track & Field News has ranked Evan Jager second in the world in the 3,000-meter steeplechase. The ranking was pretty much a no-brainer, given Evan’s Olympic silver behind Kenya’s Conseslus Kipruto, who got the gold in Rio and the 2016 #1 spot. Shalane Flanagan, #1 on the U.S. marathon list. Emily Infeld, #2, U.S. 10,000 meters (and #5, U.S. 5K). Colleen Quigley, #2, U.S. steeple. Amy Cragg, #3, U.S. marathon. Courtney Frerichs, #3, U.S. steeple. Izaic Yorks, #10, U.S. 1500. Shalane topped the U.S. marathon list for the fourth time in the last five years. Emily’s #2 at 10K was her second consecutive year there. Izaic made his first of what we assume will be many appearances in the rankings. Evan, of course, got the top U.S. ranking in the steeple. It was his fifth straight such ranking since 2012, the year he took up the event. The last American man to have a longer streak at #1 in the steeple was Henry Marsh, who was ranked the top U.S. steepler from 1978 through 1983. Evan also picked up a #7 ranking on the U.S. 5K list, and tied with 1500-meter Olympic champion Matthew Centrowitz for 5th in the overall U.S. rankings.